Transcend has been nonstop in expanding its portfolio of storage products ranging from mass consumer offerings to high-performance storage devices, and it has proven to be successful for them. 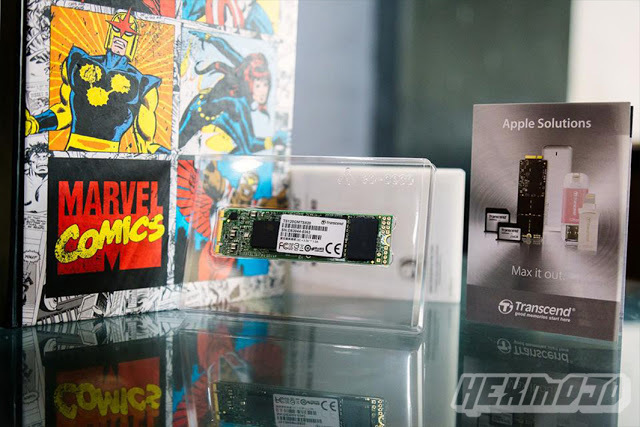 The company has recently released its MTS820, an M.2 SSD designed to deliver uncompromised performance for small form factor devices with strict size limitations, and we’re here to find out how it fairs. Transcend is keeping up with its design language when it comes to packaging the MTS820. It arrives in a very compact box. Once you open it up, you’ll be met with the MTS820 encased in an acrylic shell off the bat, and under it is a set of paperwork for product information, warranty, and so forth. That’s about it, really, and we’re not expecting anything else to come along with it. When it comes to its design, the MTS820 isn’t exactly one to come off as special with it being bare naked and all. Other offerings feature black PCBs or engaging coolers we’ve seen before, but Transcend is still keeping up with its straight, bare approach when it comes to its M.2 SSDs. Transcend is rating the MTS820 with a 550MB/s read and 420MB/s write, so we’ll go ahead and see if it does at least match up to it or it can push past through it. Currently, the MTS820 ships with an $85 price tag. As Transcend puts it as an affordable offering in the market, the price may be a tad worrying given the heap of options that are available today, with some of them looking to be a tad cheaper. This puts the MTS820 in a tight spot to be in.